When writing content bear in mind the age old adage of composing a story – the beginning, the middle and the end. Write a lot of content – at least 300 words per landing page and more on the home page. You can split this above and below any images / products for sale on the page to break up the block of text. Some blog posts are 1,000 words in length, I’ve seen several websites with blog posts of 1,500 words. So – what do you write about that produces a lot of textual content? Often a blog post or web page poses a question identifying a need, describing a hypothetical situation and concluding with a summary solving a problem or scenario. The theory behind the most important elements and architecture of a web page, when writing with SEO in mind. This blog post is written to illustrate the components of a web page as outlined below. First of all decide on the suitable phrases and keywords in advance, sculpting the page to reflect the theme of your content in an engaging fashion. This article is written on the theme of “How to write for SEO” with the keywords ‘content’ ‘headers’ ‘content’ ‘keywords’ and ‘SEO’. The main objective of online publishing is to provide an informative guide, provide free information whilst ultimately looking to promote a product or service written in a manner which would encourage readers to share your article, blog post or web page by email or social media. Write a lot of content – at least 300 words per landing page, more if you can. You can split this above and below any images / products on the page to break up the block of text. Always write for visitors primarily, with SEO in mind as a secondary priority. If your blog post is not compelling reading, you have wasted your time, visitors are unlikely to share socially or recall information if the script is repetitive and poorly written. Keywords in the CMS – WordPress has many plugins with Yoast being a global favourite. Avoid stuffing your keywords into repetitive phrases like ‘music mastering’ ‘cd mastering’ ‘studio mastering’ – simply choose ‘mastering’ ‘music’ ‘cd’ ‘online’. Only one H1 Header should be used in most circumstances – You can use any number of H2, H3, H4, H5, H6 Elements on your blog post or web page, most common is just the first 2 or 3 as using 4,5 and 6 may appear too bulky on a regular page. 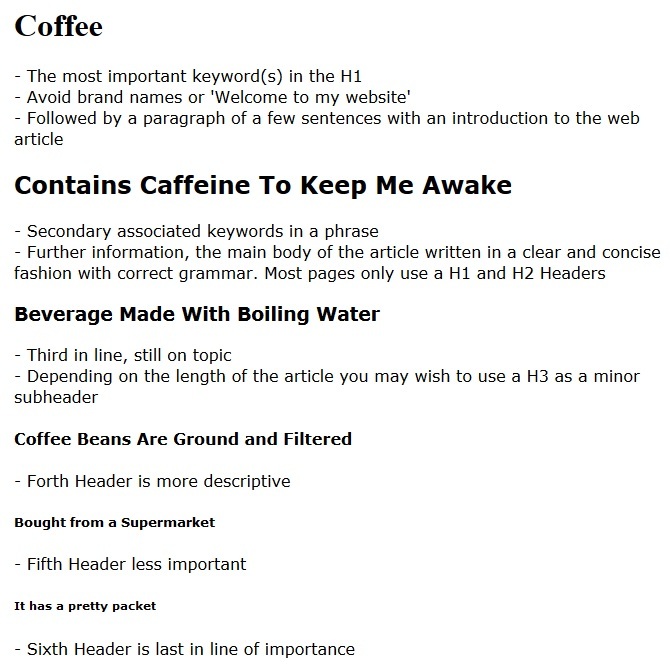 Headers are theoretically the most important structure of a blog post or web page at this time. Major search engines – Google Bing, Yahoo – crawl web pages and look for these.